Mobile Web Design is increasing with the increasing popularity of smart phones and tablets having a website that is compatible with users browsing on these mobile gadgets is critical to your business. If you have an older or outdated website, users could have a very difficult time accessing the content on your site. Any mobile web design company will tell you that you’re missing out on many opportunities because of this and need to focus on having an optimized site that will perform well for any browser type. In comes responsive design, a new trend surrounding HTML5 and CSS3 that aims to reflect the need for cross-browser compatibility, especially with smart phones and tablets, as well as the ever-emerging “phablets”. With all these new screen sizes at your disposal, a responsive design will ensure that no matter what size the browser window is scaled to, your website design will appear in a user-friendly manner that is easily navigated and structured in a way that makes sense. So when it comes time to take a new site and make it mobile friendly, having a web programmer that is able to design a workable layout in CSS3 is essential. While a mobile site is a relatively easy build, which should be able to be completed quickly and cost effectively, there is much more added code necessary to make the design responsive. The mobile site is a smaller, condensed version of your current website. It will likely be lighter and have fewer images, and the images it does include should be optimized for slower connections thus making them smaller and lighter on load times as well. This will make it easier for those with various sizes of smaller screens to access your information on their gadgets or while they are on the go. In the age of mobile devices, you are closing yourself off to many opportunities if you have a website that isn’t compatible with the various browser types available today. Browser testing becomes vitally important to make sure you offer cross-browser functionality for your visitors. 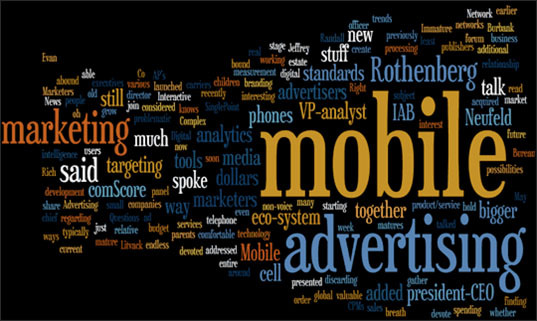 Even more so now that more and more advertising dollars are being spent in mobile campaigns to drive traffic to mobile sites, this is a huge market that is just starting to take off. Do yourself a favor and look into having a mobile website developed by a local web design company and prepare yourself for the increase in mobile device usage. Mobile is here to stay and this is evident with the curve towards mobile device usage as of late. Expect the growth to continue and make sure you stay ahead of your competition by making sure your website is optimized to its full potential. mobile are great & the largest medium used for communication , thus it has a wide range of showing you & your business to the world. Good sharing thanks for writing.